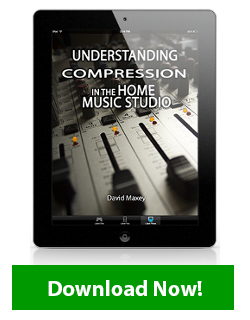 What is frequency response and it's application in the home music studio? If you've ever heard this term before maybe you're wondering if you really want to take the time to understand it? Well believe me when I say that understanding frequency response is not really that difficult, but it is very important. As human beings (and I trust you are one ;)), our ears can hear frequencies ranging from the low 20Hz to the high 20kHz. Though there are frequencies that extend behind this dynamic, most of the time frequency response is measured within this range. So what is frequency response then? 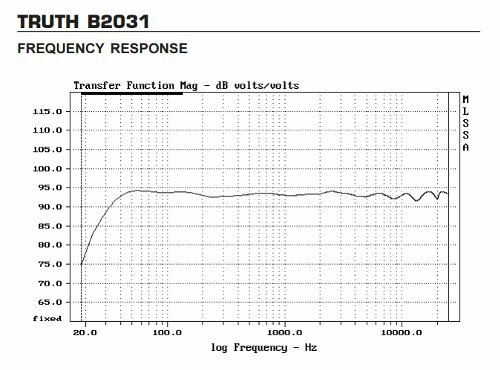 It is the measurement of an output signal by specific frequency, compared to an input signal. Most speakers will output frequencies somewhere within that 20Hz to 20kHz range. Frequency response measures this output gain and the specific levels of each frequency compared to its input gain. This is also true of microphones. Each microphone has the capacity to capture somewhere in that 20Hz to 2okHz range of audio and reproduce it. 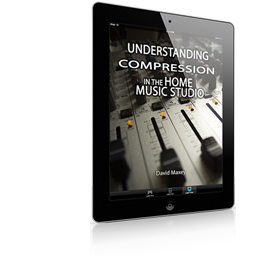 Frequency response is the measurement of the output signal and the gain of each specific frequency. Confused yet? Let me explain this in real life terms. Today marks the 11th year anniversary of the terrorist attacks on US soil. Let's say you had never heard of this event and as a result you've asked me to tell you what took place. Assuming I had a perfect memory and was an eye-witness to the event (hey, it's only an illustration), I would then tell you what took place that day. After hearing the full version of the story, you would most likely tell someone else. As you then shared what you had heard no doubt certain points would stick out to you. You may even find yourself highlighting parts of the events that I did not. You might even leave out a few details that I had shared with you. The point being, you had heard the full story but repeated it by coloring the details with your own thoughts. Though crude, this illustration is a picture of how frequency response works. The one main detail in regards to the technical data has to do with the input signal. To properly measure an equipment's frequency response the input signal must occupy that full range of tones from 20Hz to 20kHz. Within these tones the input signal must also not boast one frequency above another. In other words the full spectrum of audio goes with all frequencies level (usually white noise). What comes out will be the frequency response. As the output gain is measured there will be voltage boost or cut in specific tones. This will cause a boost or cut in these frequencies and by measuring what that output is, we will be able to determine the frequency response. 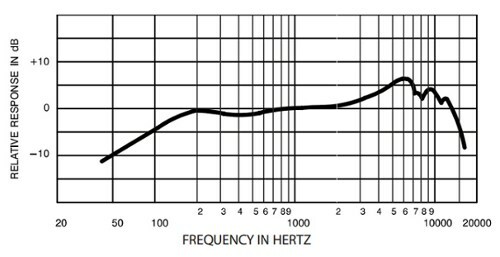 Below is a typical graph showing the frequency response of a Shure SM57. What is frequency response in relation to my studio monitors? Well, the good news here is that your speaker manufactures have already measured this for you. Good studio monitors will have a very flat frequency response with little to no boosts or cuts. This produces a much accurate picture of your mixes. It is important to know this information about your speakers to determine if what you're hearing is accurate. 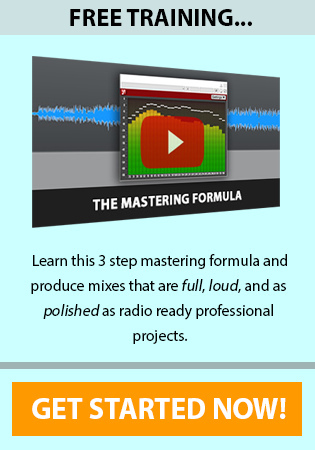 Also, if your monitors can't produce frequencies that are present within your mix, then your projects will certainly suffer. This could be the case with lows or even highs. Either way it's worth knowing. Below is a graph showing the response of my studio monitors. What is frequency response in relation to my microphones? Again, it can be very helpful to know the frequency response of the mics you're recording with. This is also a case where having a "not so flat" response can be of benefit. In the case of the SM57 Shure has tailored this mic to boast just the right frequencies. This makes the mic work great for instruments and many vocals alike be it requires less adjustment of EQ. If you were trying to record a kick drum but the frequency response of your mic did not go below 60Hz, you will be very disappointed at the lack of lows in your track. 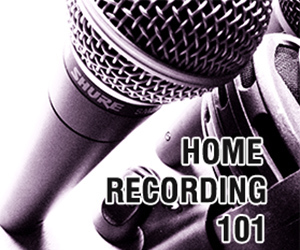 Again, knowing your gear is key to recording pro audio. 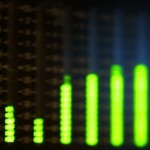 So what is frequency response? Do you have any more thoughts? 8 replies to "What is Frequency Response?" My minitor ranges from 100Hz- 10KHz, does that mean that if i set my equaliser to 60Hz for my kick drum it will not give the true representation? Correct, it means your monitors are not able to reproduce much lower than 100Hz. The only way to compensate for this is to add a subwoofer that can reproduce that low or get new monitors. Likewise, great info, well explained. Thanks! Great explanation, very useful information for me to hear right now. Thanks. Thanks Corey, so glad you found it useful.